Okay, folks. If you haven’t read Suzanne Collins’s The Hunger Games, stop reading this silly old blog RIGHT NOW and go read it. I’m not kidding. Go. If you HAVE read The Hunger Games, then you know. I’m sure there must be people out there who didn’t like the series (and guaranteed there are people out there who will diss it without reading it, just ‘cuz it’s popular), but everyone I’ve talked to absolutely ate it up. What a wonderful thing, to read a story that completely absorbs and transports you, that thrills you and moves you and makes you ponder all at once. It’s hard to beat the satisfaction of a truly great, well-written story. That’s what The Hunger Games trilogy is for me. My straight-up opinion: If you loved the book(s), I really think you will love the movie. b) the cast, and especially the star, are (is?) devoted fans of the book. But still, I was prepared for the movie to disappoint in some way. Leave out too much (as film is often obliged to do) or stray too far from the story for Hollywood’s sake. 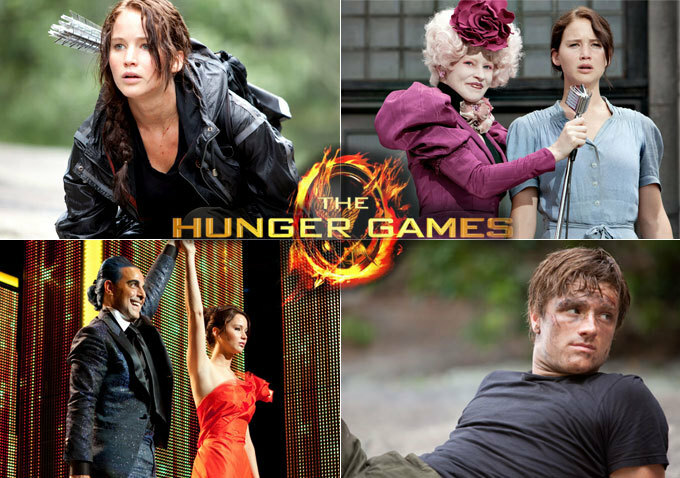 What is it that makes The Hunger Games so great, and so captivating? What does it mean when such a story – i.e. one with deadly violence as a core theme – becomes so insanely popular, especially with youngsters (for whom it was written)? THE BIG ONE: Are human beings inherently killers? I know when I first heard the premise of the story (namely, that in the post-apocalyptic nation of Panem, 24 teenagers per year are “reaped” to participate in The Hunger Games, then put into a specially-designed, televised wilderness arena where they stay until all but one are dead), I was filled with horror. Even though I know that human sacrifice has been practiced for thousands of years, and still is in some cultures, the idea makes my soul hurt. Especially in this case, where kids are expected to kill other kids. Take lives. Snuff ’em out. The reader experiences all this from Katniss’s POV, and the psychology is engrossing, though grisly. We automatically wonder, “Well, what would I do?” You can almost imagine what you would do, because the author so skillfully places us in the scene – we feel the mortal fear, the survival instincts taking over. 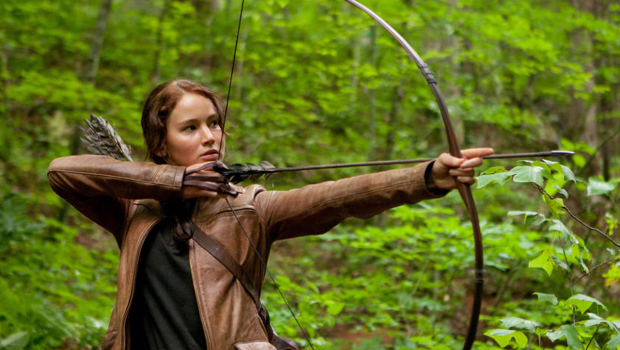 We can relate to everything Katniss does, in the context of the Games. I think Suzanne Collins put a lot of consideration into the violence she chose to write. It’s not overly lurid, but it’s not softened either. It’s horrifying, but it all makes sense given the desperation of the participants. Thus, even for a pacifist like me, the story is readable. Then, you add in the macabre fervour of the citizens of the Capitol, who adore rooting for their favourite tributes, and then avidly watch them die… it’s incredibly creepy and yet somehow, totally believable. THEN you add in the real human connections between characters, the love and compassion and protectiveness… and dammit, it’s just a mind-blowing story. THAT’S my answer for #1. As for #2: I think you can chalk it up to #1. I don’t find it disturbing that young people are gobbling up the series; danger, mortal peril, real heroism etc. etc. are in all the best stories. They love it because it’s amazing. ‘Nuff said. The funny part about this is that moviegoers are divided on the subject of the violence. You have people like Karen Spears Zacharias, who went to the movie knowing nothing about it, and left halfway through because she was nauseated by the violence, especially having seen a little boy leave the theatre in distress. I completely agree with her that there are too many parents out there who let their children watch wholly inappropriate movies – and that’s lame parenting. Also, if you are not enjoying a movie, of course you might as well leave – but if you’re going to write a blog post about the story’s “message”, you need to actually know what the message is, otherwise it’s lame blogging. Just sayin’. Then you have Rob Beschizza, whose review calls the imagery “stylized and sanitized”, complaining that it’s too PG13: not graphic enough. (At least, I’m pretty sure that’s what he’s saying – not all of it made sense to me.) Same goes for David Denby, who calls it “an evasive, baffling, unexciting production”, essentially accusing the filmmakers of cowardice for the sake of the rating. Then, you have the people like Sean and me, who thought the movie simply portrayed the story. There was no need for us to see blood gushing or throats opening or limbs being severed. There is plenty of information in the tiny glimpses you get. The concept itself is quite brutal enough, and having read the books, we knew what we were in for. No need to wallow in gore. It seems to me that if you have people grumbling both that your movie is too violent AND not violent enough, you can assume you’ve hit the nail on the head. That brings us to #3. 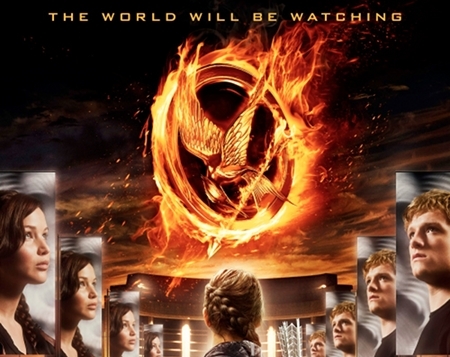 The Hunger Games is a story – one of many – that shows us the possible brutality of kids. Some of the tributes have been trained to slaughter, and they are ferocious, bloodthirsty. Are they aberrant? Or is humanity inevitably vicious? World history, as well as current events, would suggest the latter. Even though we all know people who are supremely generous, gentle, and kind. It’s a fundamental question for humans to ask themselves (and I think it’s part of why the story is so compelling): Am I capable of killing another person? And if so, what would compel me to do so? Don’t tell me you haven’t wondered. And you wonder even more while reading. I don’t really have a good answer for #3. What you you think? I only recently became an adult Quaker ( last month, actually ) – and a big part of my hesitance was coming to grips Question 3. I have experienced enough of my own fight or flight in tough situations to know that fight is a primal response for me, and there are situations where it would come and I might not squelch it. Especially when my children were babies, dying for my morality’s sake or watching them hurt for my morality’s sake – I don’t know that I could. Even if I understand the world to be illusory and all suffering to be shared and violence to minimize all of us, I’d … well, I’d fight to protect them. And so I still don’t have a perfect understanding of myself as a pacifist, although my pacifism is a present part of my life and a daily practice. Arwen, I’m totally with you. Thank you for this comment. I have thought a lot about George Fox turning his other cheek and profoundly making his point… and I honestly don’t think it’s the same for us. I can’t help feeling that turning the other cheek is a much more unexpected and provocative statement for a man to make than a woman, since a woman has historically been expected to be docile and accept her “lot”, including violence. What statement does it make for a woman NOT to fight back when someone would harm her? Not a good one, I think – not one that would teach her aggressors anything. And I think almost all mothers feel like you do – there would be no question about fighting to protect one’s children. That’s what mamas are built to do. Is it even our moral right to opt NOT to protect our babies? Sigh. Such a hard question. I guess, as mothers of boys, we need to put our pacifism to work there, since true gentleness among boys can still be pretty subversive… but like you, I’m still working on it. Meanwhile, congratulations on your membership! Ahh ! Thank you for such an awesome post ! I have been waiting for it, as you were the one who got me into HG. I wholeheartedly agree with you about everything. The movie hit the nail on the head and the story is just Wow. Jennifer Lawrence was breathtaking. I had very high expectations for the film because of SC’s involvement, the casting, and all the hype. I was most concerned about them getting the mood right. Would the filmmakers make that delicately written violence gratuitous? Would they capture the horror and touching moments with maturity and balance? I think they really did. I still wonder how it could possibly be PG13 (even of they removed some of the gore) because of the concept. I still think it’s a 17+ film. I agree with you that these tough questions are part of what made us all stay up all night reading (and then lie awake wondering if we could do it). I think about it but find it hard to answer. 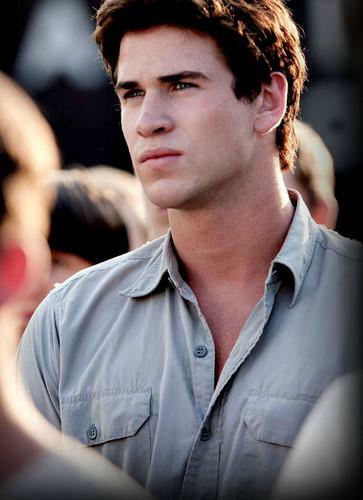 As for Peeta and Gale, I thought that was the weakest part of he movie. 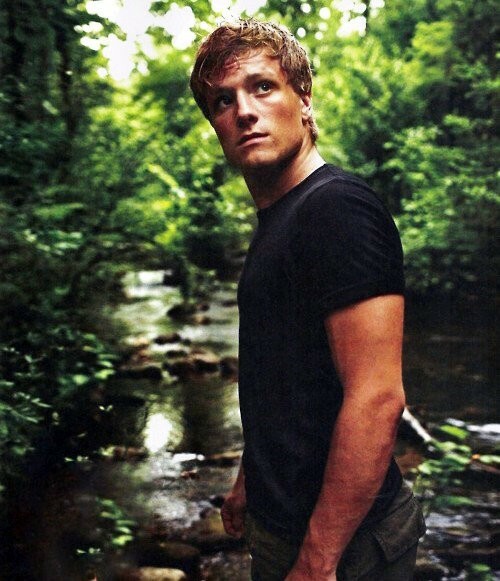 Neither of those characters’ complexities came through enough for me, but I stand by Peeta. Quinny, thank you for reading! So true, Jennifer Lawrence is just a great actor. I also thought Willow Shields, who played Prim, was awesome – MAN, she made me cry. I was also surprised to find out that it’s a PG13 movie, but since it’s about teenagers, I guess it would be kind of unfair if most teens couldn’t go see it.